Jed won the Skelly Cup and reached the final of the Booker Border League with a 10 - 8 victory at a wintry Mansfield park. Jed had relinquished home advantage to make the Skelly Cup a double header for Border League points to avoid fixture congestion and it paid of in style. Ex Hawick player Sean Goodfellow scored Jed's only try in the second half after we were 5 - 0 down at half time. 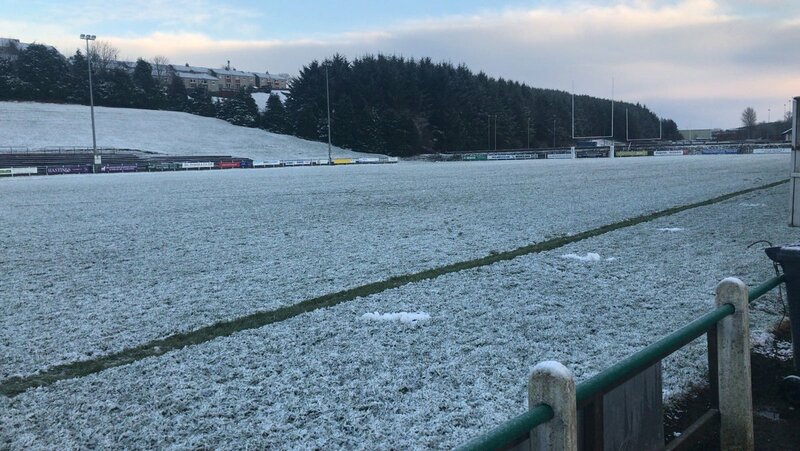 Ewan Scott kicked the conversion and added a penalty, Jed's director of rugby Ali Campbell said "we should of been out of sight as we had most of the ball"
Mansfieid park 2 hours before kick off Taken from the Hawick twitter feed.